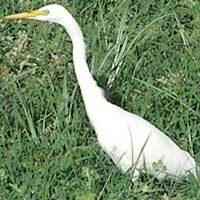 Large white heron with long neck and yellow-orange bill. Gape line from bill extends to behind eye. 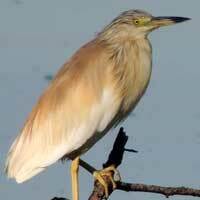 Also called Common Egret. All white except for bill. Legs and feet black. Catches fish, amphibians and large insects in shallow water. 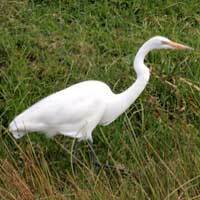 Smaller and with shorter neck than Great Egret. 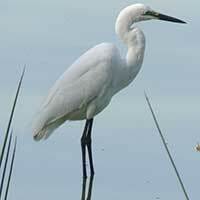 Snow-white plumage contrasts with black legs and dark bill to make this an elegant wading bird. 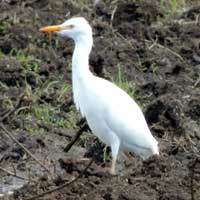 Mostly white, long legged water bird with orange beak and rather stocky build. Often in fields w/o water. More reddish feathers during breeding. 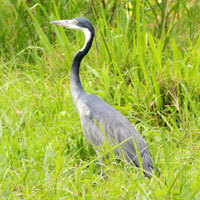 A small heron with blue-gray back, some greenish plumage and pale belly. Sits partly hidden at water's edge. 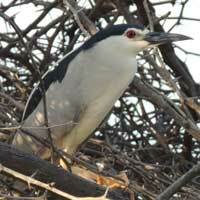 Short-necked heron with brownish back and short, thick bill. Winter migrant from northern lattitudes where breeding occurs. Large with dark crown. long neck and grayish bill. Legs and feet dark. 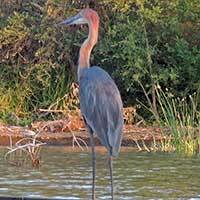 Tall heron with a sturdy, pinkish bill and long neck. Pattern in bluish grey and white. The largest heron in the world. 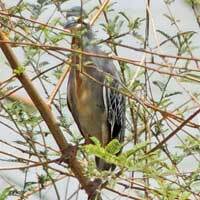 Reddish-brown and gray plumage with paler neck/chest. 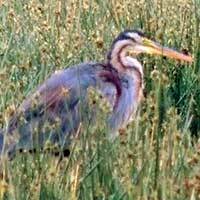 Large gray-purple heron with long neck and contrasting facial pattern. 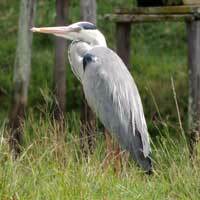 During the day this heron rests within dense tangles near water. World-wide distribution. Short neck.